"Curiosity is useful for us detectives. It makes us nibble away at impossible problems." Charlotte Armstrong's The Case of the Weird Sisters (1943) was jotted down on my wish list after a laudatory and tantalizing review from Patrick, who still blogs At the Scene of the Crime, praising the novel as "one of the most uniquely-constructed impossible crime mysteries I've ever come across." Naturally, my interest was piqued, especially after finding out the book escaped the attention of Robert Adey's Locked Room Murders and Other Inpossible Crimes (1991), but that was for an obvious reason – 'cause it is not an impossible crime story. But more on that later. I have to agree Armstrong took an unconventional, but fanciful, approach to constructing the plot and characterization that was both in-depth and grotesque. 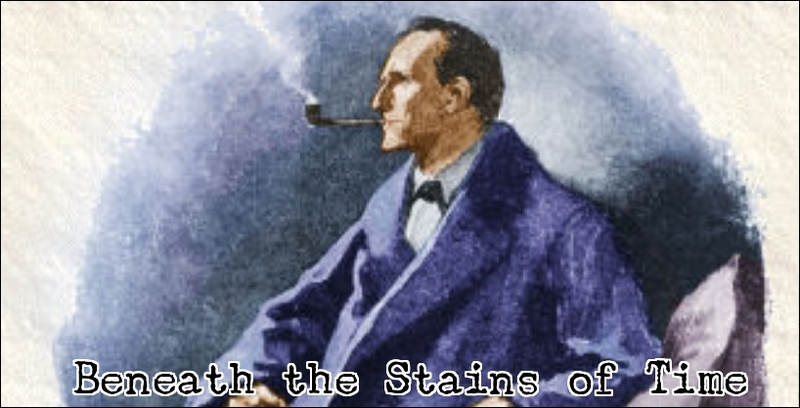 In a way, the story reminded me of some of John Dickson Carr's later period Sir Henry Merrivale novels, in which he experimented by removing or reducing one of the central ingredients of a whodunit (e.g. A Graveyard to Let, 1949). The Case of the Weird Sisters begins conventionally enough with the engagement between Alice Brennan and Innes Whitlock, who has one million dollars to his name. It's a marriage of convenience and they both take something away from it: Innes gets the wife he desires and Alice's future is secure in a rapidly changing world. However, the unconventionality begins to seep through when their car, conveniently (plot-wise, that is), breaks down while passing through Innes hometown of Ogaunee, Michigan, forcing them in a situation they would've otherwise avoided – visiting Innes' three sisters at their ancestral home. "Whitlock Girls" are what remains of the town's past dynasty and their distorted personalities, detached from reality, is reflected in both their characters and physical presentation. Maud is a lazy slob who gradually lost her hearing and a car-crash left Isabel with one arm, but Gertrude is the one Innes fears as it was negligence that left her blind in a horse-riding accident. Maud, Isabel and Gertrude are locked in their own worlds, but the question arises if these separate entities could form an alliance when they learn of the engagement and the accidents begin to happen. The missing road sign could've meant anything, but the falling lamp and tinkering around with gas pipes are clear indicators of malice. And they do what every rational human being would do in a case of attempted murder: call the police bring in an amateur detective! 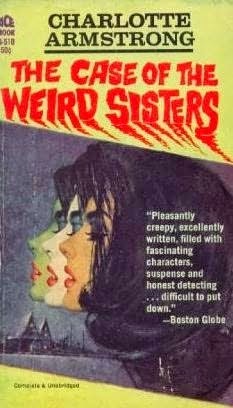 MacDougal Duff is a retired historian-turned-detective and furnished this review with an opening quote, but The Case of the Weird Sisters really shouldn't be classified as being of the impossible variety. The nature of the disguised murder attempts require the simple power sight and sight or the practical use of both arms, however, the physical restrictions aren't even considered a necessary obstacle by Duff – arguing the sisters could've been in cahoots or one of them isn't half as disabled as everyone believes. You could argue it's a borderline impossible crime, but I would (IMHO) place it closer to such howdunits as Dorothy L. Sayers' Unnatural Death (1927). The disabilities of the three sisters mainly functions here to cross a nifty array of possible scenarios off against the sequence of events. Patrick justly points out that the sequence of events, in some instances, was perhaps too clever for its own good, but the genuine weakness of The Case of the Weird Sisters may also be the books biggest triumph: Armstrong kneaded a fascinating detective story with compellable characters out of the mundane facts of how-and when a table lamp was thrown over and a road sign was removed. It's not a first-grade mystery and perhaps needed a full-blown impossible problem as the centerpiece of the plot, but it's a strangely compelling story. By the way, I smirked immaturely a couple of times at the poor choice of words directed at the Whitlock sisters. Duff actually begins explaining himself to the blind, but stuck-up, Gertrude with "Well, you see..." and part of me wanted Duff to follow up with "...truth only falls on deaf ears if people refuse to see it or grab it with both hands, you fossilized crayfish. Why aren't you collecting dust up in the attic?" Hey, I gathered from the overall story that Armstrong didn't like the Whitlock's either. So... until next time. Duff was Charlotte Armstrong's series detective, having appeared in 1942 in her first book, Lay On, MacDuff, and making his final appearance in The Innocent Flower (1945). As the Golden Age came to an end, she dropped the fair-play style series detective, as did a number of her colleagues. For instance, Margaret Millar dropped both Paul Prye (last appearance in 1942) and Inspector Sands (last novel appearance in 1945; appears as retired in a short story in 1954). Likewise with Helen Reilly: although Inspector McKee continued to appear, the police procedure element tended to give way to the romantic suspense element during the 1940s. Likewise Dorothy Hughes: the last of the Inspector Tobin novels appears in 1942. Interesting trend, but I'm afraid I'm not familiar enough with this group of writers to comment on it. Heck, I still have to give Millar and Hughes a look. Yes, I know, I have no right to give any kind of criticism with poor credentials like that.